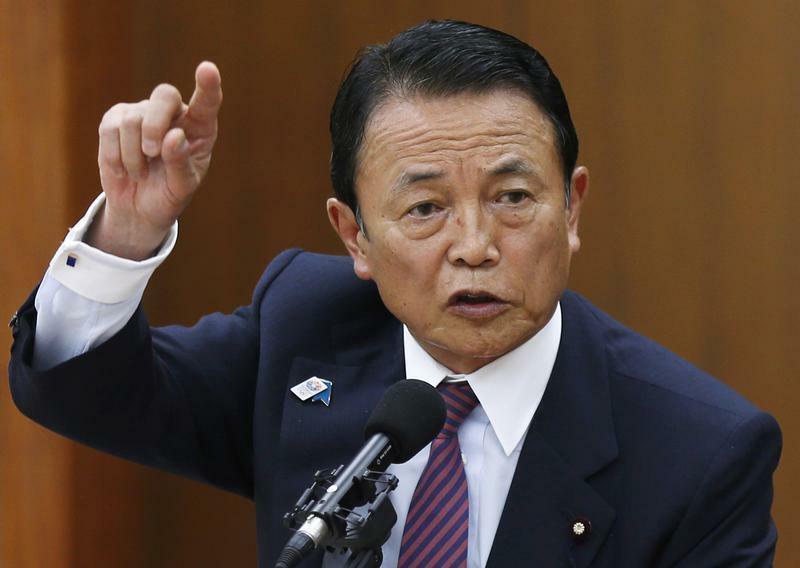 TOKYO (Reuters) - Japan will tell G20 nations at a summit this week that it will proceed with a planned two-stage sales tax hike, and consider compiling an extra budget for fiscal spending to ease the pain on the economy, Finance Minister Taro Aso said on Tuesday. Aso, who will accompany Prime Minister Shinzo Abe to the Group of 20 summit in Russia, also said Japan is unlikely to face criticism from other countries this time about the yen's weakness that boosts the competitive advantage of its exports. "Japan has launched fiscal and monetary stimulus to pull out of deflation. The yen's weakness was only a side-effect of that ultimate goal of beating deflation," Aso told a news conference after a regular cabinet meeting. Japan has pledged at previous G20 gatherings that it will make efforts to rein in its ballooning public debt which, at double the size of its $5 trillion economy is the biggest among major industrialised nations. Abe will decide by early October whether to proceed with a planned two-stage increase in the sales tax from next year, a move considered as crucial in fixing Japan's tattered finances. Critics of the tax hike plan have called for delaying or watering down the tax hike, for fear of threatening Japan's budding economic recovery. "Japan's basic stance is to raise the tax," said Aso who, as finance minister, has consistently called for the need to raise the sales tax given Japan's dire fiscal state. Unless there is a change in the plan, Japan's sales tax will be raised to 8 percent from 5 percent in April and to 10 percent in October 2015. If the sales tax is increased as planned, the government will consider compiling an extra budget for fiscal spending to cushion the damage to the economy and submit relevant bills to parliament early next year, Aso said. He added that he did not have any idea of the size of the spending yet.